Apple is the first manufacturer to ship a laptop touting a retina display. It goes without saying that the company won’t be stopping with this trend any time soon. 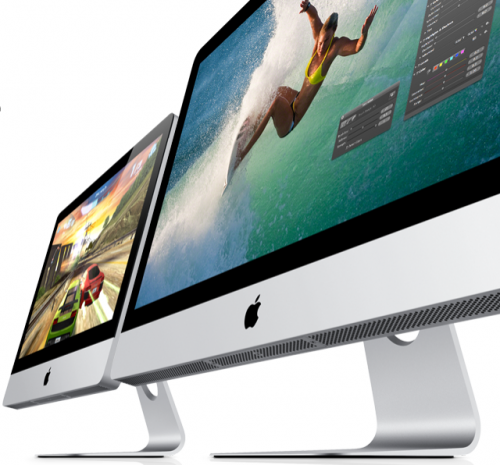 According to new reports, iMacs will be released in October later these years. This iMac refresh will be a big one, because reportedly these iMacs will boast retina displays. Last month at the Worldwide Developers Conference, Apple wowed everyone with it’s Retina Display Macbook Pro. The display on this laptop carries more pixel density than any other laptop on the market. It is truly amazing to say the least. The first half of 2012 has whizzed by and surprisingly, we haven’t heard much about the iMacs either from sources or from Apple itself. Looks like that is all about to change. This latest report comes from trade publication DigiTimes. Usually they’re the ones that provide the most amount of rumors. They claim to have reports from industry sources that Apple is gearing up to release retina display iMacs in October this year. The publication also claims that components for these all-in-one computers are likely to be shipped as early as this month. They also claim that Apple will end up putting retina display on all of it’s products. Apart from these amazing displays, the new iMacs will surely feature next generation Ivy Bridge processors, improved graphics, additional RAM and solid state drives. However the release timing mentioned by this publication seems a bit odd. Apple is expected to release the next generation iPhone this October. Releasing two significant products in one month seems to be over doing it a bit too much. Nevertheless we’ll just have to wait and see. Though I can’t stop fantasizing about how gorgeous a 27 inch retina display iMac would look like.